In this blog post, we’ll share how you can evaluate your brand’s social media presence and make the commitment to developing a strategy that will meet your target audience’s needs and have a return on investment. Don’t be there just to be there. You’re “ready to go.” You’ve set up a company profile featuring eye-catching imagery, a compelling brand story – AND – you’ve added the icons to your website homepage. You’ve even shared a few posts a week with links to your product pages. So, why isn’t anyone following your page? Liking your posts? Brands who sit passively behind their social media pages, throwing out a few posts a week will not see the return they’re aiming to achieve. No – not even that “awesome” National Pizza Day post meme is going to do it. The key to social media is participation – and that goes for brands, too. Define your brand’s voice, figure out what it has to say, and speak up! Do you think these 2018 social media standouts achieved success by staying quiet? Shhh, that’s rhetorical. While posting frequency is important in any social media strategy, do not just post to post. Sharing stale content can be damaging to your brand and can make the user scroll right past you, or worse…remember that your content was less than appealing. Always bring your content A-game because in an ocean of brands that are all grappling for impressions and engagement, it’s sink or swim. Using low-quality imagery. “Does this image look fuzzy to you?” If you’re asking, don’t use it. You already know it is. Trying to participate in trending topics that do not make sense for your brand. If it feels forced, the users will feel it too. Writing content to be too promotional. Social media users are humans, so don’t speak to them like robots or the voiceover of an infomercial. Keep it short and conversational. Linking to a dead end. If you’re going to take the user to another site, there better be a something they need or want waiting for them on it. While we always recommend evaluating popular social media trends before making any large investments, we do encourage that you consider them when planning your strategy. Don’t be afraid to explore a new marketing tool for your brand, especially if the data indicates it is a direct path to your target audience. The volume of brands posting Instagram Stories has increased 4x over the course of 2018. In the battle for organic reach and engagement, adopting new content formats like Stories has worked well for brands as they are consumed actively, while feed content is consumed passively. 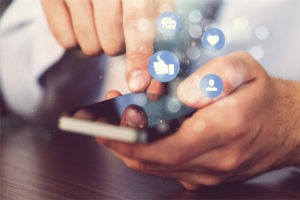 With Facebook expanding the capabilities of Stories to include Event promotion, businesses (especially local ones) are provided with another great tool to connect users with their brand. Get a sneak peek here. This also leverages the growing trend of users looking to recommendations from friends and family more often than the media. The improvisational nature of the story format allows users and brands to show a more spontaneous and personal side of themselves. Remember, transparency is key this year, so any way you can make your brand appear more down-to-earth and relatable is going to be beneficial in the end. In fair warning, executing stories for your brand will require creativity and a lot of imagery. Regardless of how they are used, making the investment in quality images for your brand is VITAL to making a social media commitment. We recommend formulating a thought-out strategy with your creative team or social media agency on how images can be obtained and maintained on a frequent basis. If you do not have a creative team or agency, give us a shout – we can do this for you. Social media users are commonly okay with being marketed to, but along with transparency, they often expect that there be something in it for them. Pro Tip: Don’t throw together a last-minute plan to check off your “social responsibility” box. Users can see through that, and it will be more damaging than beneficial to your brand. Remember, transparency. 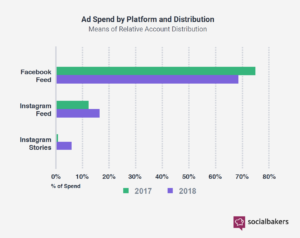 With the impact of organic content dwindling, pay-for-play is a must for your 2019 social media strategy. Platform algorithm changes prioritizing family and friends content will continue to make it more difficult for brand messaging to reach the target user. Due to the rising cost-to-compete, audience building, targeting and refining are going to be crucial to seeing a return on your media spend. Despite the limitations and restrictions on how you can target users, there is still a wealth of tools and tactics that help build qualified audiences. If your brand is going to survive in the social media world, we recommend you accept advertising as necessary, not optional. Sit down with your social media team or agency, and discuss your objectives and available media spend for the year. In regards to social media listening, what I wrote in 2014 is still just as true today. I’ll say it again, for the 2019 record; even if your brand is not “officially” on social media, it does not mean that it is not being talked about there. Brands that pay attention to their target audiences’ conversations will glean valuable insight that translates into more meaningful connections. In 2019, marketers will need to learn how to create a social media strategy that achieves brand goals, but also satisfies target audiences’ wants and needs. Easier said than done, we know. 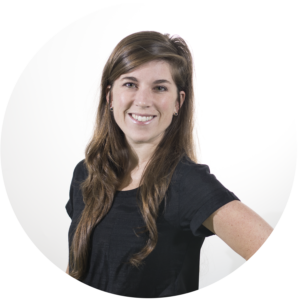 If you are looking for a partner or consult to help you reach your social media marketing goals this year, reach out to Emily Zinberg at ezinberg@3epr.com – 3E Public Relations will streamline and manage your business’ social media strategy.